By now, most of us have a view on solar power. You may believe it is the future of energy; that harnessing the very energy that gives us life, that the universe gives us for free, is the logical future when traditional fossil fuels are both finite and damaging to the environment. 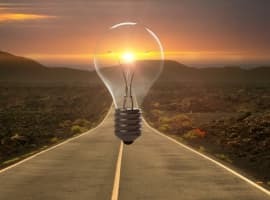 On the other hand, you may believe that it is all a pipe dream; that if solar energy can ever become an economically viable source for a significant part of the world’s energy needs those days are so far off as to be irrelevant to you, and that any industry dependent upon government subsidy is doomed to failure. If you are inclined to the second view, however, recent events suggest that you may have to think again. Jim Hughes, the CEO of First Solar (FSLR), speaking at the Edison Electric Institute meeting in New Orleans, referred to the expiration of tax credits here in the U.S. as “irrelevant”. He went on to forecast that the cost of electricity production from solar power would have fallen to under $1 per Watt by the beginning of 2017. 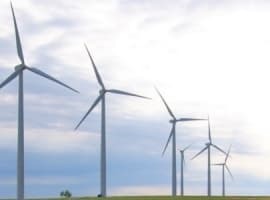 Costs are falling exponentially, and the days of competitive renewable energy are, according to the industry, very close. I am inclined to agree that at some point before too long that situation will be upon us, but I cannot escape a feeling of déjà vu when I hear that the dominance of any renewable energy source is imminent. Despite my cynicism, however, I can also see that, from a trader’s perspective, whether or not we are actually in the middle of a breakthrough right now is not the point. If enough people believe that we are, and if one does come eventually, then stock in the industry’s major players is set to jump significantly, both in the short term and in the very long term. 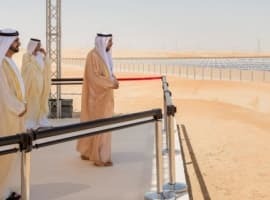 On balance, even allowing for some degree of “talking your book” by those in the solar industry, it does seem as if the days of truly competitive solar power are not that far off. 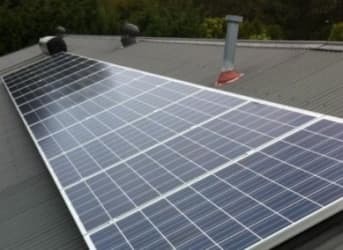 Even if you disagree though, and have no intention of establishing a long term holding in a solar company, a setup such as this offers the potential for significant short term profit with controlled risk. Those are situations I was trained to look for and take advantage of, whatever my view of the industry or market they were in.